As a homeschooling mom of many, it can sometimes be a challenge to make time to form morning routines that will give me the energy and good attitude I need to run an organized household. 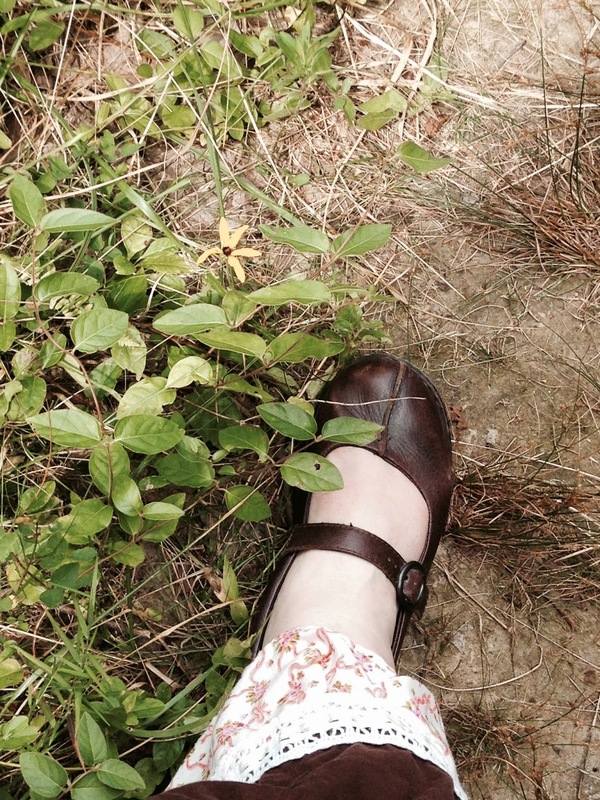 Some days, getting even a short walk outside in the fresh air is an accomplishment. I recently discovered two new products at Target that are great for moms like me---moms who are "on the go" without having to actually go anywhere. 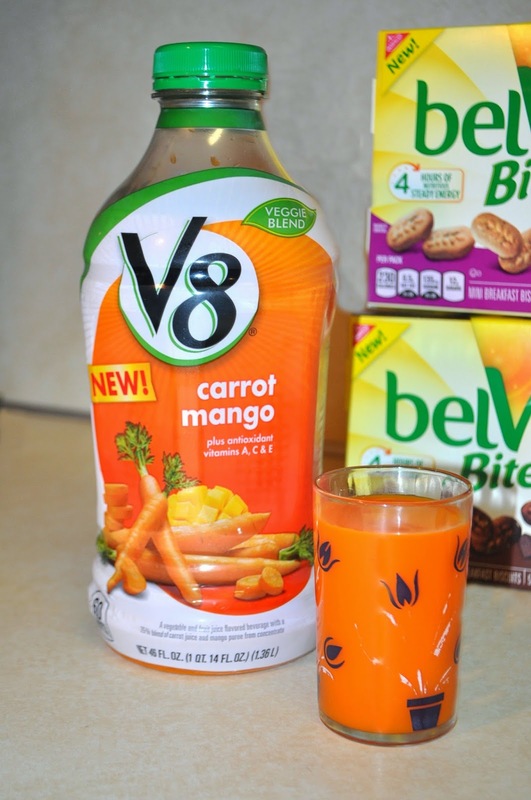 There are four new flavors of V8 out in their Veggie Blends line: Carrot Mango, Purple Power, Healthy Greens, and Golden Goodness. My Target had all four to choose from so I grabbed Carrot Mango. 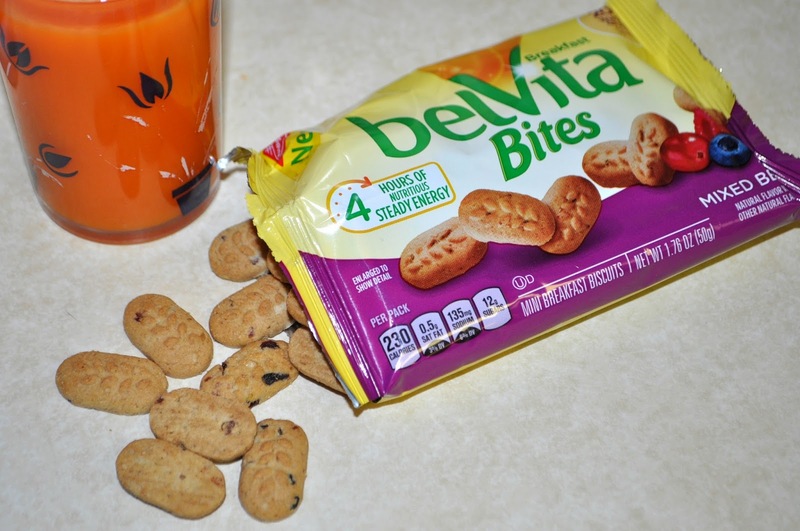 BelVita has recently released a line of Mini Breakfast Biscuits including Chocolate and Mixed Berry varieties. I knew our family would love both so I picked up a box of each. 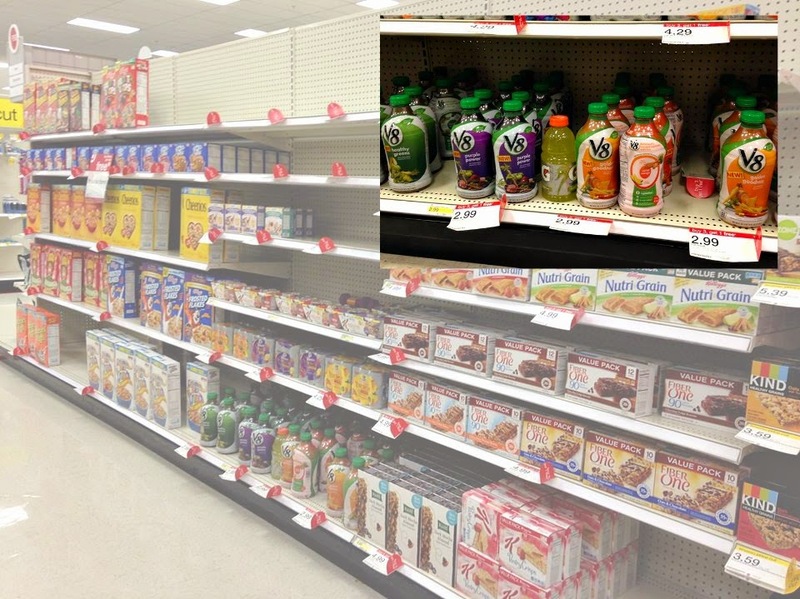 Earlier this week, I visited a special section in Target where there were several new products featured to help shoppers with their 2015 goals. 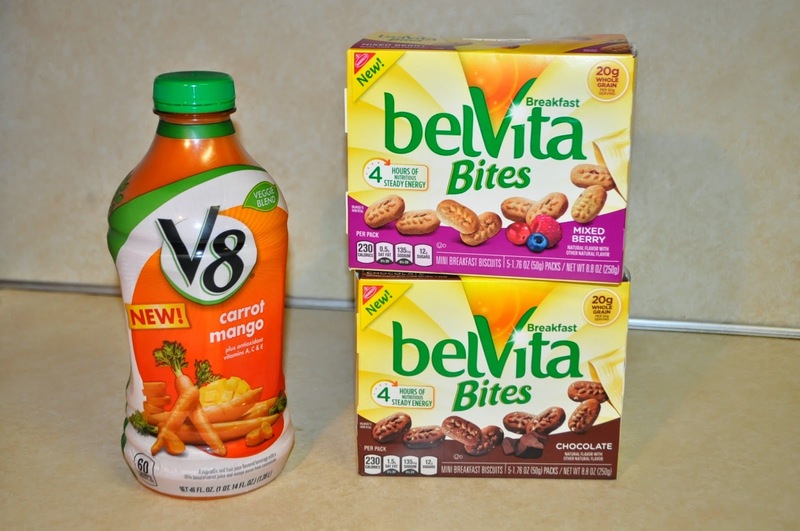 Check out the display at the back of your local Target to find V8 Veggie Blends and BelVita Bites. One of my big goals for this coming year is to spend more time doing fun organized lessons with the kids in our homeschool. This notebook is my most important tool when it comes to keeping all our plans straight and scheduled out. Another goal I have is to plan healthy but frugal meals to keep us on budget. I like to sit down one morning a week while the kids are working on lessons and write out my menu plan and grocery list. I try to use up things we already have in the kitchen so there's very little waste. A breakfast of V8 Blends and Mini Breakfast Biscuits is an excellent non-messy and energy-packed meal to eat while I'm writing out my plans. Made with 75% vegetable & fruit juices and 25% pure water, these V8 beverages are a healthy blend of vegetables with a little fruit. There is one full serving of vegetables, 60 calories or less, and no sugar added in every 8oz. cup. 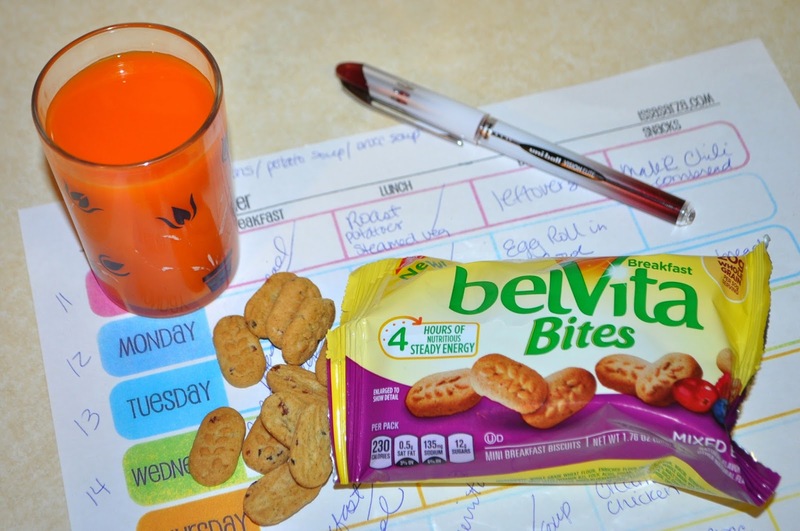 With no artificial colors, flavors or preservatives, V8 Veggie Blends are an excellent source of antioxidant vitamins A, C, & E.
With 20g of whole grain, BelVita Bites provide four hours of energy to keep you going in the morning. They contain no high fructose corn syrup, no partially hydrogenated oils, and no artificial colors or sweeteners. Do you normally eat breakfast? What goals do you have for 2015 that need some healthy fuel to help you accomplish them? I did not know they made them in bite size pieces. Good to know but I really enjoyed reading your daily schedule. 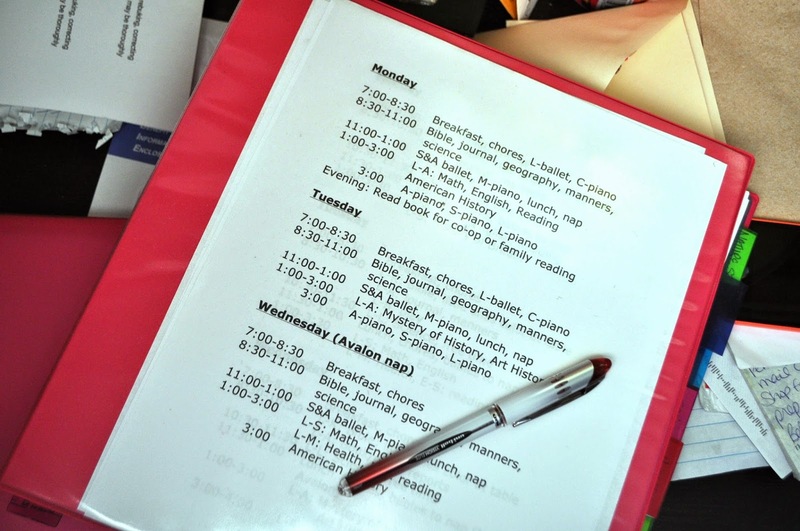 I am such a homeschooling nerdy mama and I love to plan and organize! Thanks for sharing! I usually make an omlet with eggs and spinich, salt and garlic pepper! Your new juice looks great!